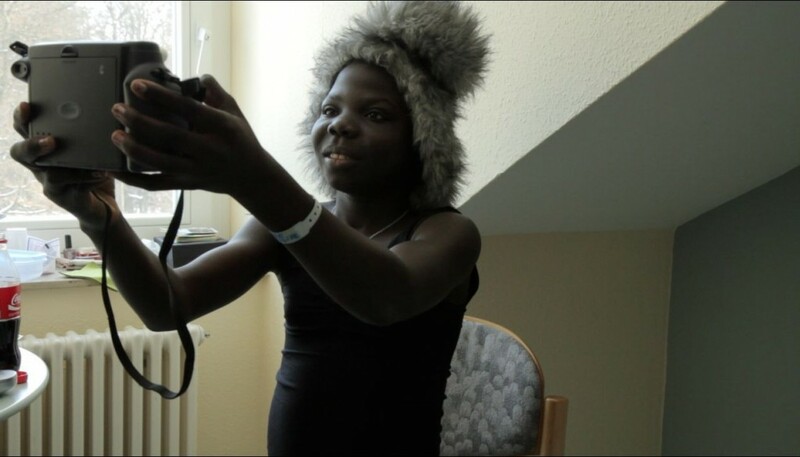 A journey from Africa to Berlin turns into an unexpected journey from childhood to adulthood. The film centers around Arlette, a 15-year old girl from the Central African Republic who suffered severe injuries during the last war. In Berlin a surgery frees her from her year-long pain. This changes her both physically and mentally: suddenly Arlette is in her puberty. But then war breaks out again in her homeland. What was planned to be a short stay in Berlin turns into a journey without a foreseeable end. Arlette is forced to grow up and take her own decisions about her future. Stranded in Berlin the young girl faces the challenges of a foreign culture and a language she doesn’t speak. This film is a long-term observation – told resolutely from the perspective of a young girl from the Central African Republic. And the viewer gets to see our everyday life through the genuine and honest eyes of Arlette. Florian Hoffmann was born on January 24, 1987 in Berlin, Germany. After high school he worked in the development cooperation in West Africa. Afterwards, he completed his studies in social anthropology, sociology and political science at the University of Basel. Since 2011 he has been a directing student at the German Film and Television Academy Berlin (dffb).